Verywestham: This is what the Europa League Really Means! This is what the Europa League Really Means! The English media has a negative perspective of the merits of the Europa League- at times ridiculing the competition as a damp squib. It has even been suggested that West Ham and Everton might try to deliberately sabotage their chances of qualification under the fair play rules by playing to get yellow cards during this weekends penultimate Premiership fixture. 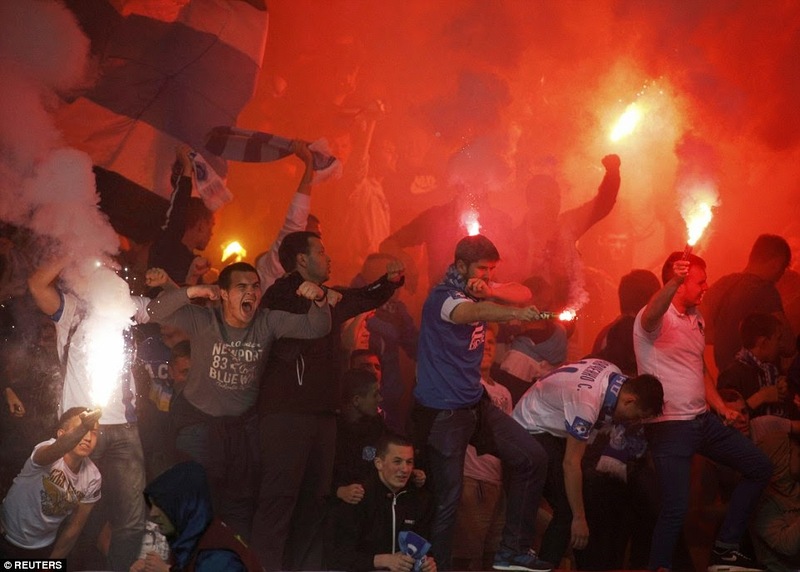 All of which contrasts with the pitch invasion staged by Dnipro fans after they dispatched Rafa Benitez's Napoli during the midweek Europa League semi final. Maybe a Europa voyage might be more fun than our media is letting on? All of a sudden we need to win! Our Next Manager Can Sing Better Than LVG! Is Romelu Lukaku in League with the Devil? West Ham Star Snaps up Top Music Award!! !